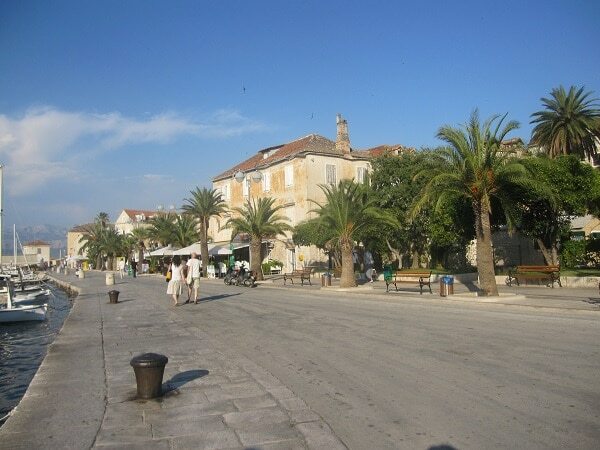 The island of Brač (pronounced bratch) is one of the most beautiful islands of Croatia. 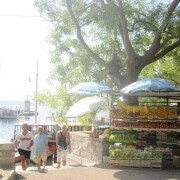 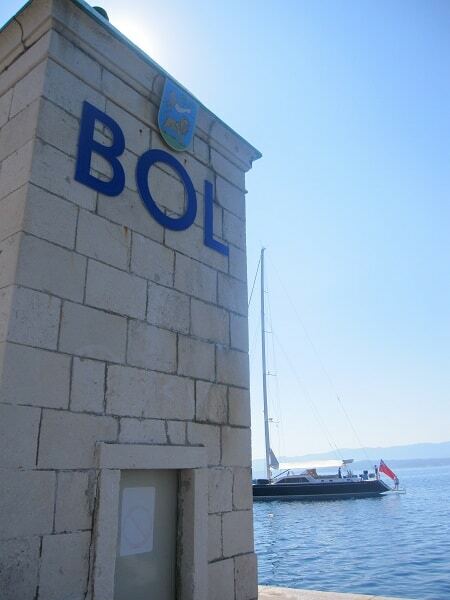 It is situated just in front of Split, it takes only 50 min by ferry to get there. 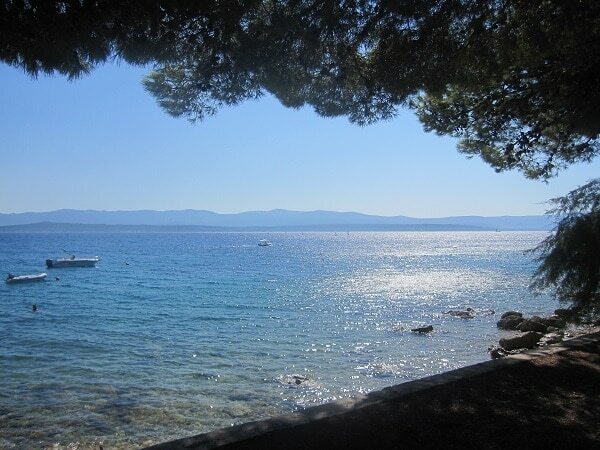 You certainly know this island, the most famous beach of Croatia is situated on the island of Brač, Zlatni Rat beach in Bol. 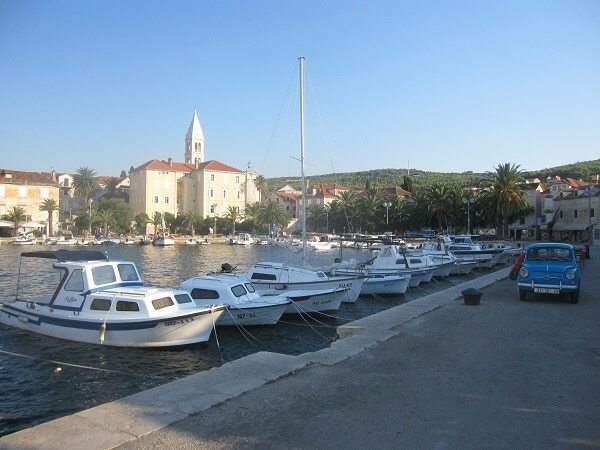 I recommend this island for family vacation, for sport and nature lovers who can explore the island by bicycle or enjoy water sports, and anyone looking for an authentic island with typical small villages. 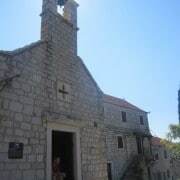 If you stay in Split you can spend the day on the island of Brač without necessarily sleep there, which is not the case for other Dalmatian islands. 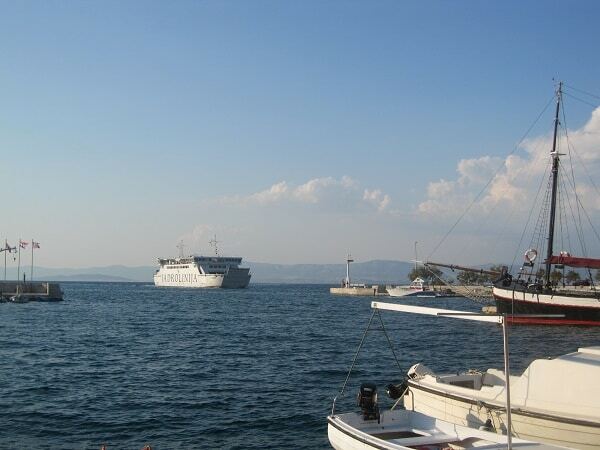 Supetar is the main harbour of the island, here is the arrival of the ferry. 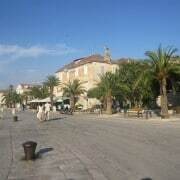 It is a small tourist town that is very lively during the summer. 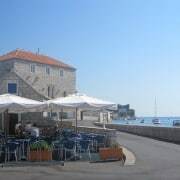 It includes everything one needs to spend a wonderful vacation: beach, restaurants, bars, luxury hotels, apartments and guest houses. 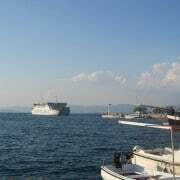 Even if the ferry arrives here do not think that it is not a good place to have a swim. 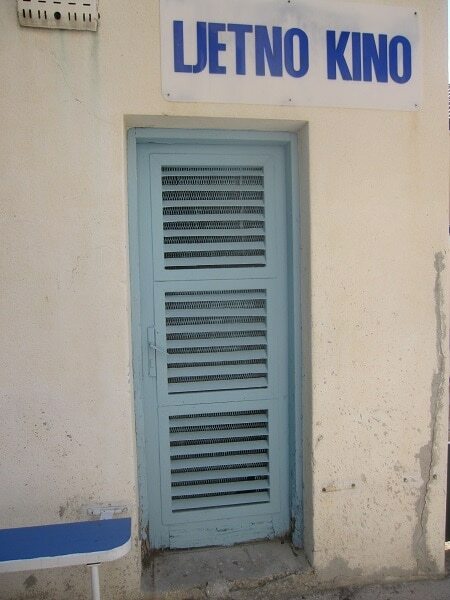 Quite the contrary. 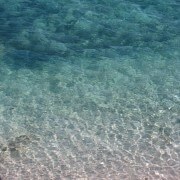 The sea is pure and clear as in the rest of the island. 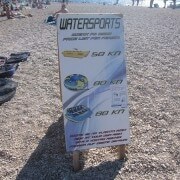 Its beaches are covered with pebbles and you can practice many water sports. 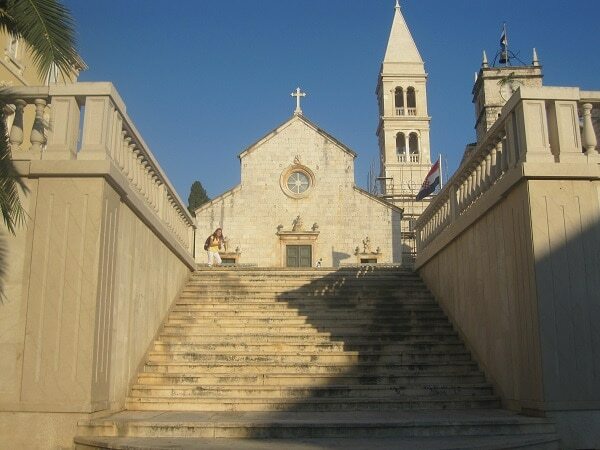 Choose to stay there if you are not only looking for peace, and if you plan to visit Split and its surroundings since the crossing is relatively short (50 min). 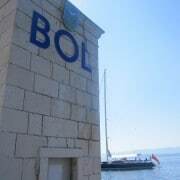 Bol is a typical Dalmatian village with a small harbour and stone houses. 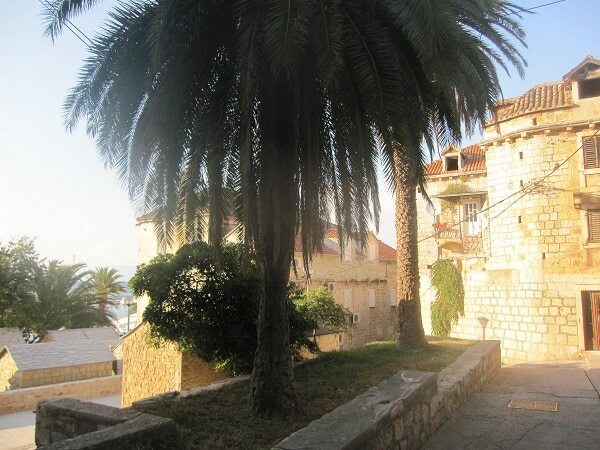 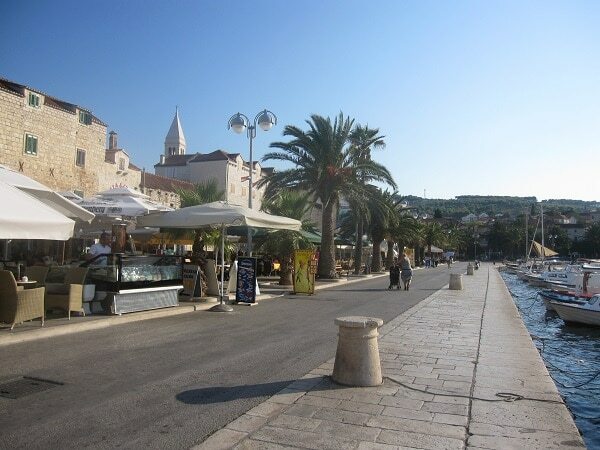 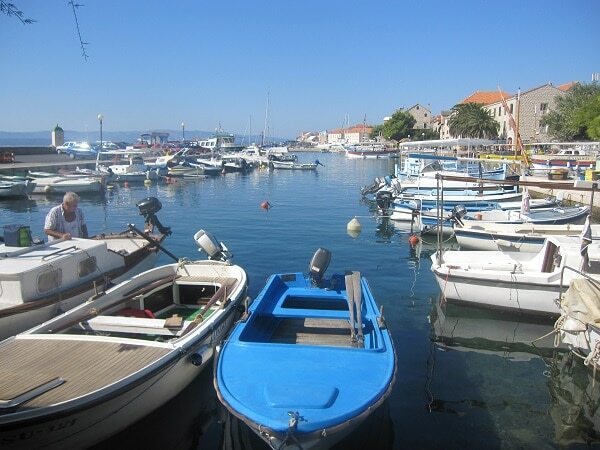 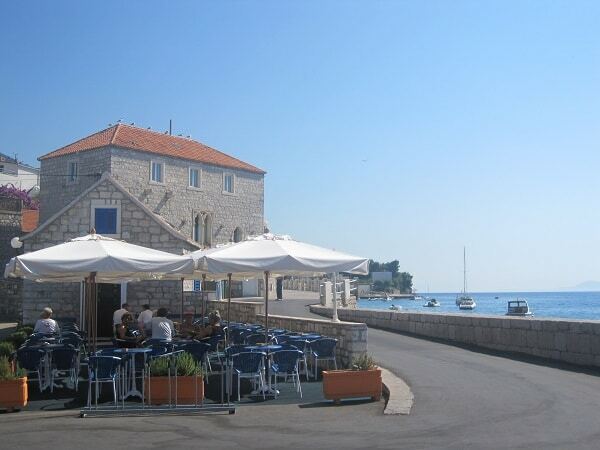 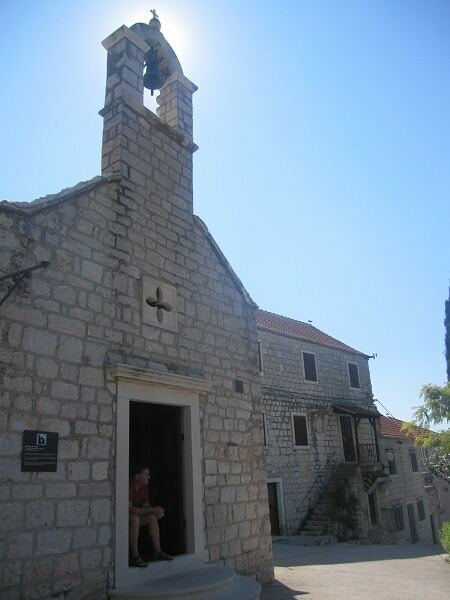 It is located on the south coast of the island, looking over the village of Jelsa on the island of Hvar. 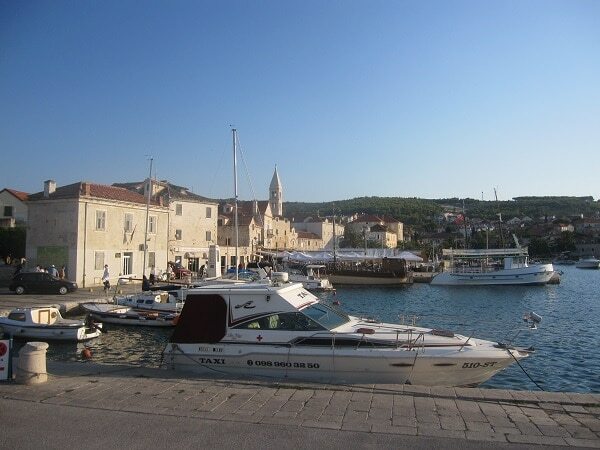 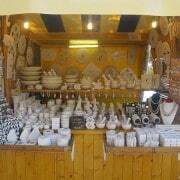 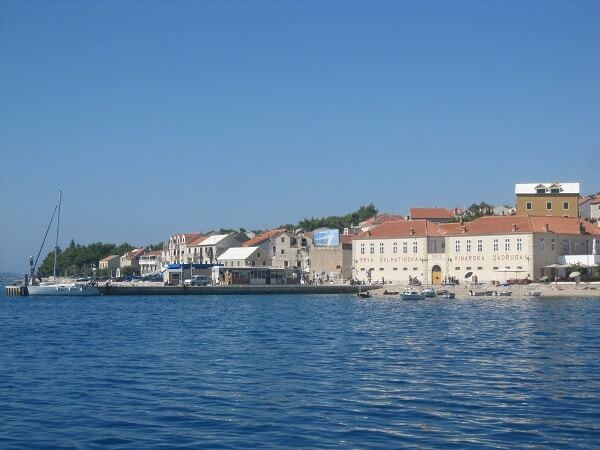 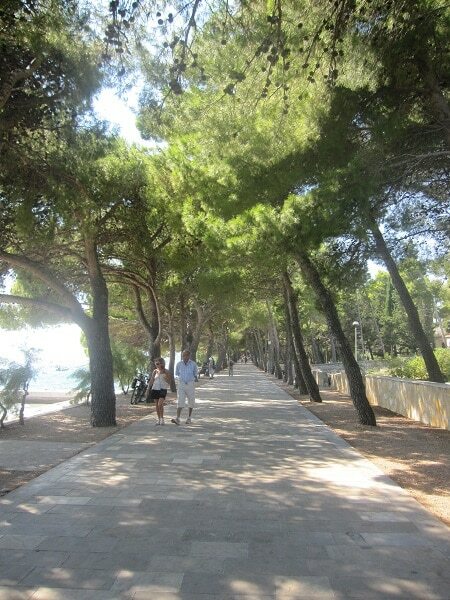 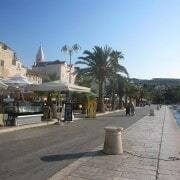 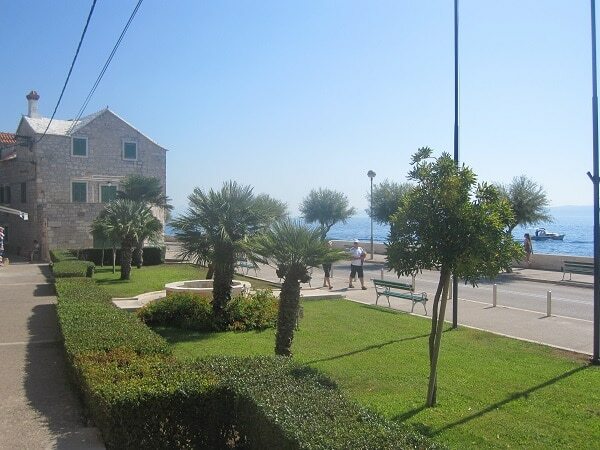 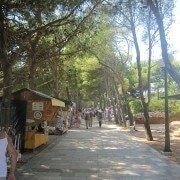 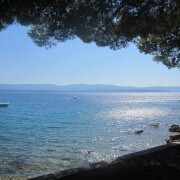 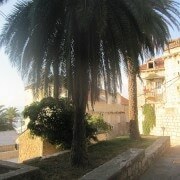 It is the ideal place for a holiday in Croatia, it is really cute and very lively during the summer. 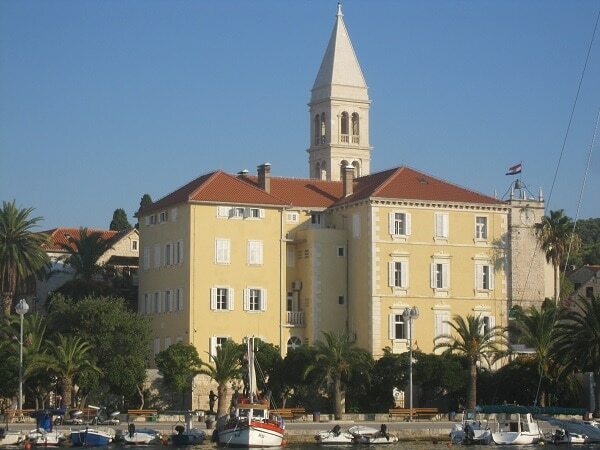 Concerning accommodation you will find luxury hotels as well as appartments or rooms. 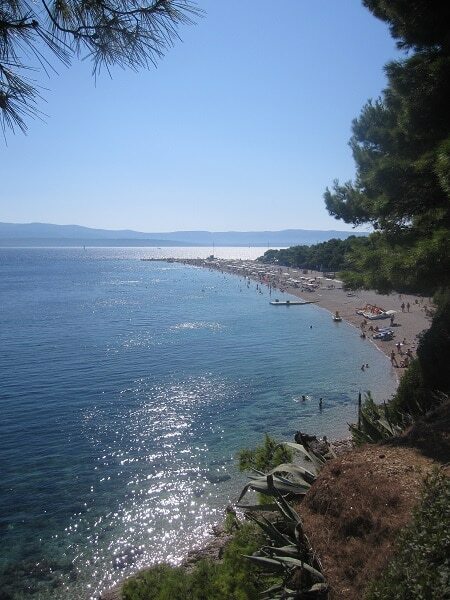 And let’s not forget to mention that this is the place of the famous Croatian beach Zlatni Rat, that is situated about 1.5 km from the center of the village. 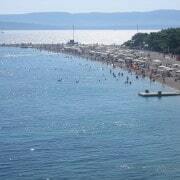 The beach Zlatni Rat is definitely the most famous beach in Croatia. 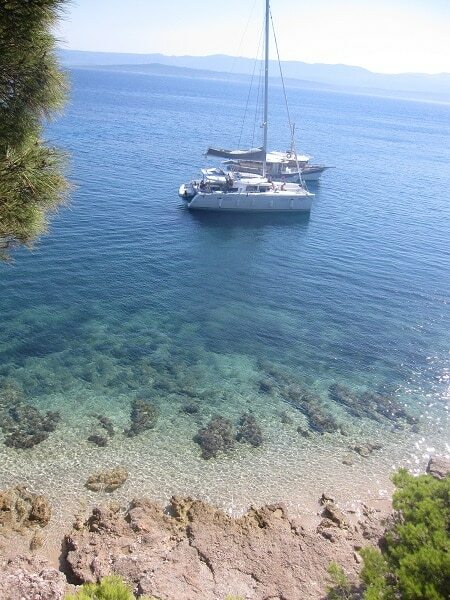 It often reaches the ranking of the best beaches in the world. 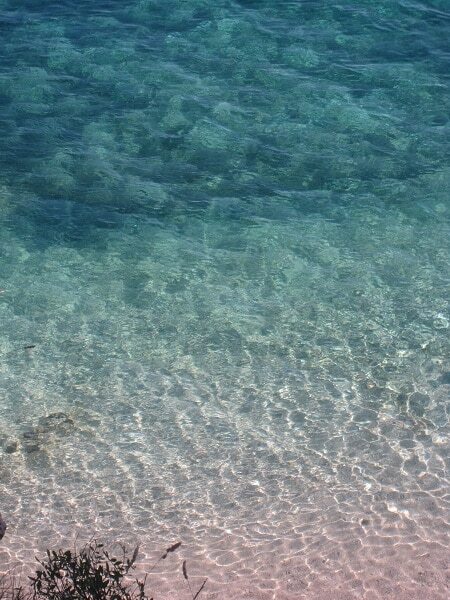 This beach is spectacular if you look at it from the sky. 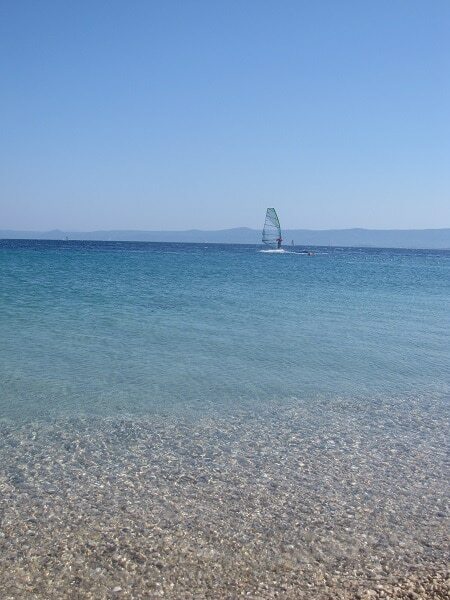 It is called Zlatni rat which means Golden horn, it has the shape of a horn and changes direction depending on the sea current and the wind. 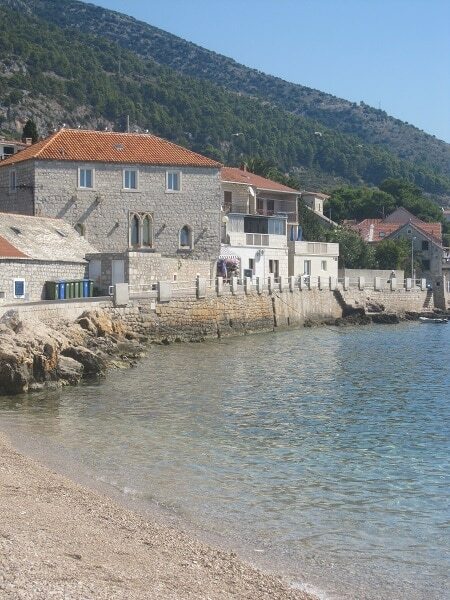 You have to be aware that this is not a sandy beach as one might believe, but a pebble beach. 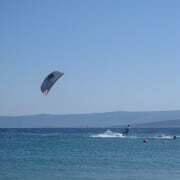 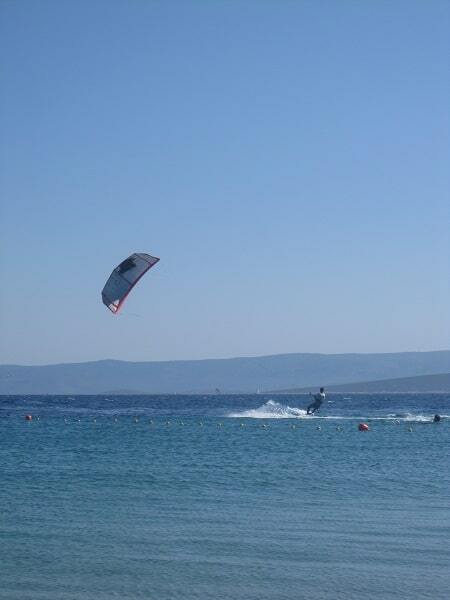 This beach is ideal for water sports, especially sports that need wind like windsurfing or kite-surfing. 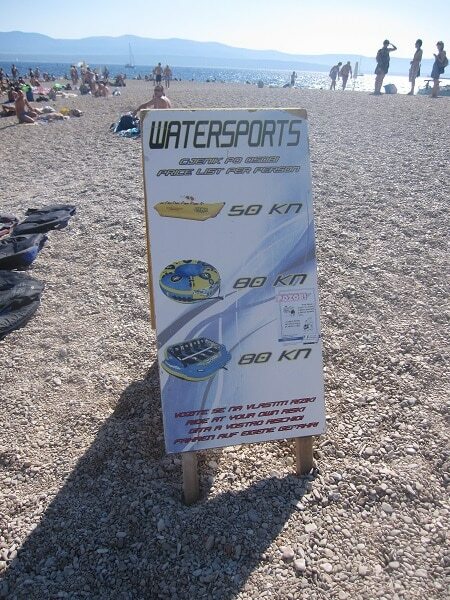 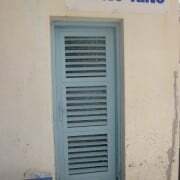 You will find the necessary equipment for rent on the beach. 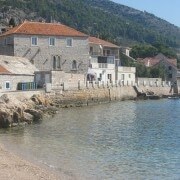 You can visit really cute villages on the north coast of the island. 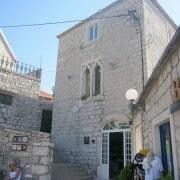 They are located by the sea and are whole made of stone, typical narrow streets and stone houses. 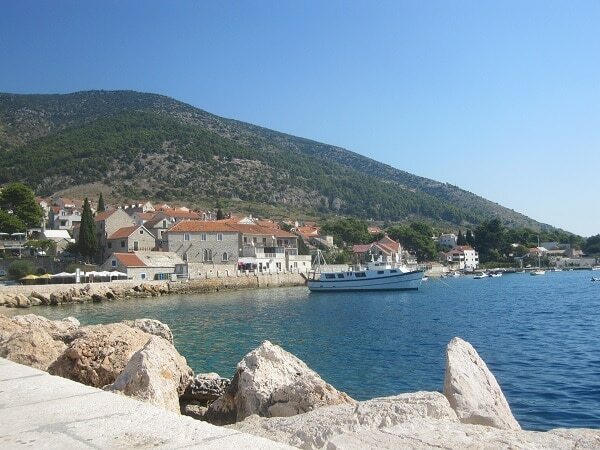 Among the most beautiful villages to visit, let’s mention: Postira, Splitska, Sutivan and Pučišća. 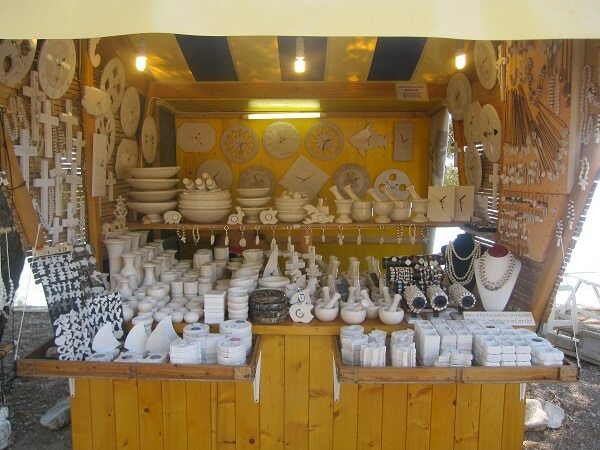 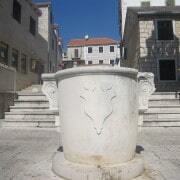 Pučišća also has a long tradition of stone carving. 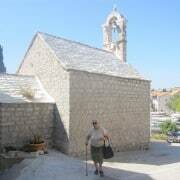 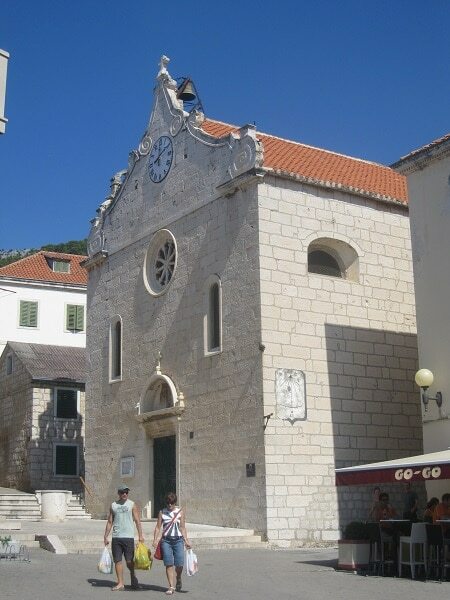 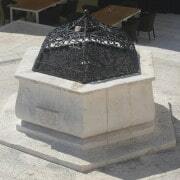 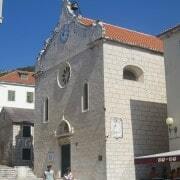 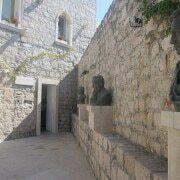 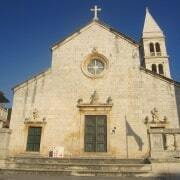 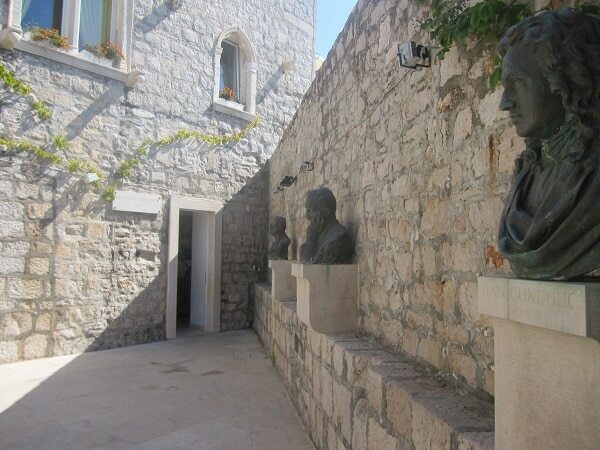 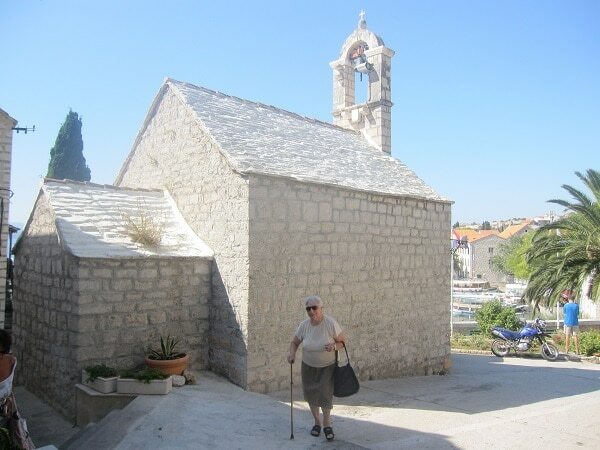 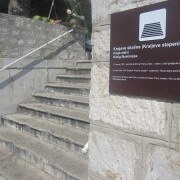 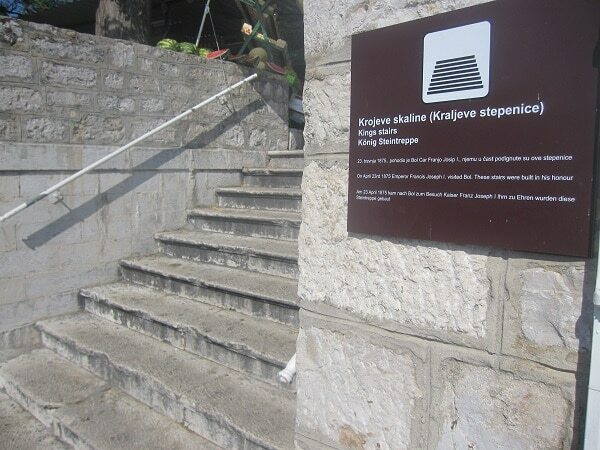 Here we carve the famous white stone of Brač and it still has a stonemason school that you can visit in the summer. 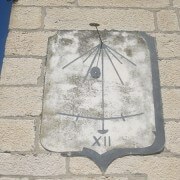 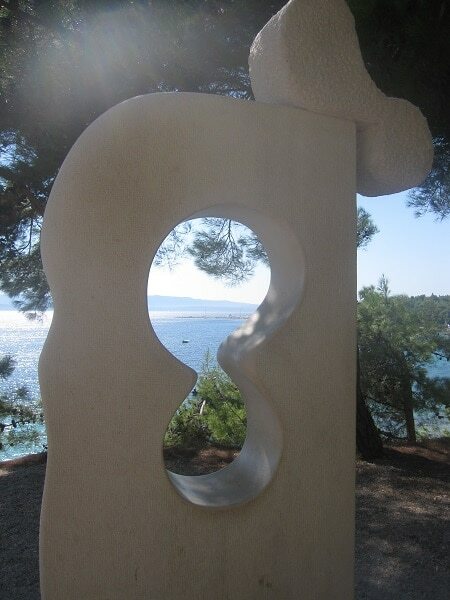 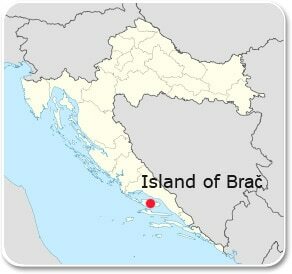 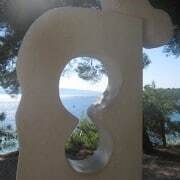 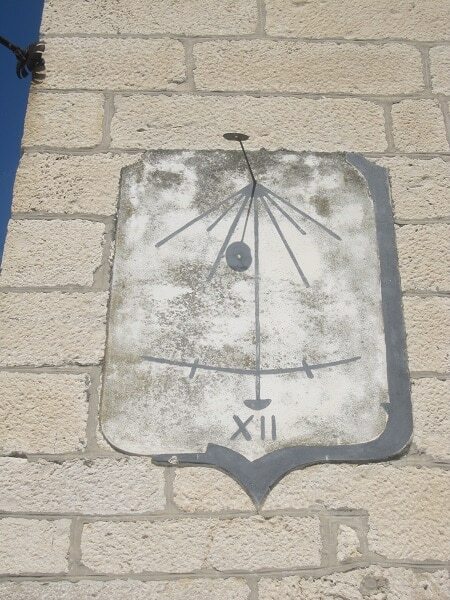 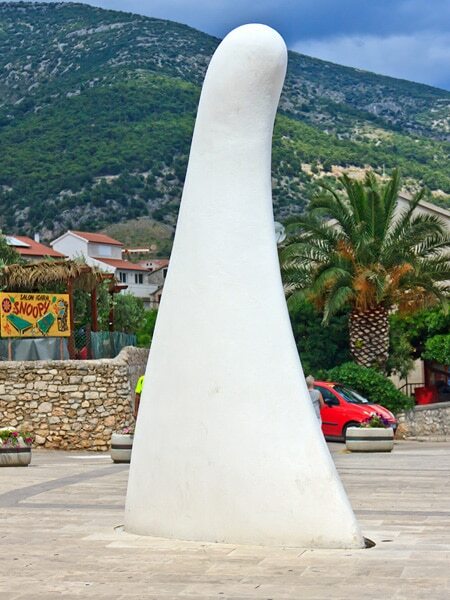 The white stone of the island of Brač is not only known in Croatia but also worldwide. 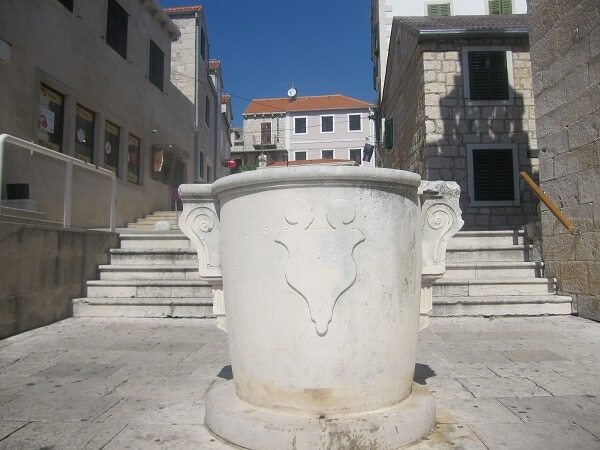 Indeed a part of the White House in Washington was built with tghe white stone of Brač. 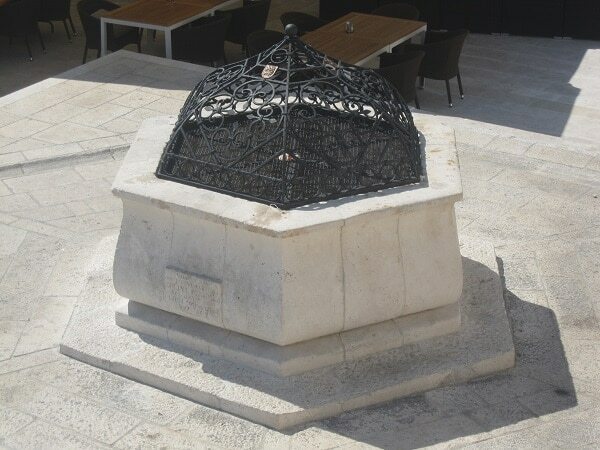 It served also to built the parliament in Vienna and Budapest. 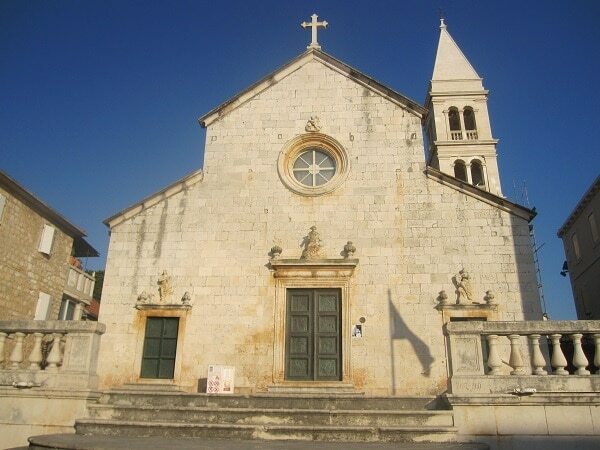 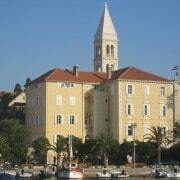 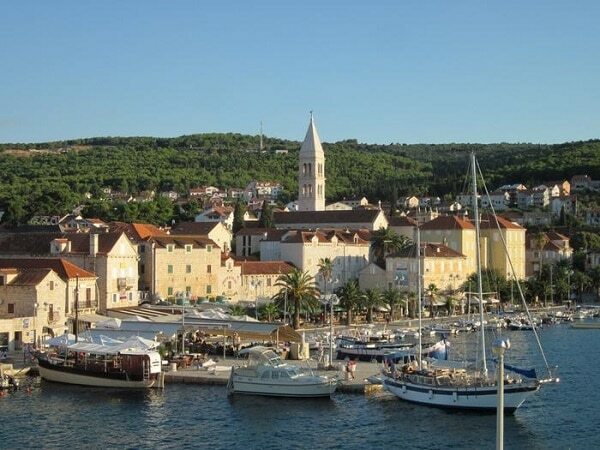 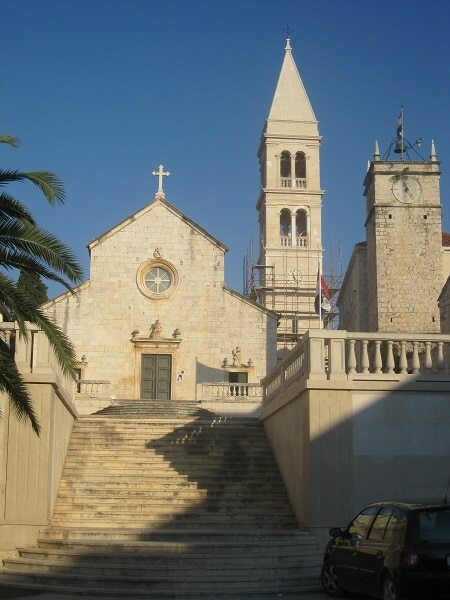 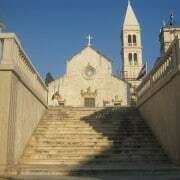 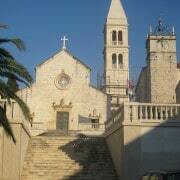 In Croatia it was used to built the cathedral of Šibenik, the cathedral of Trogir and Diocletian’s Palace in Split. 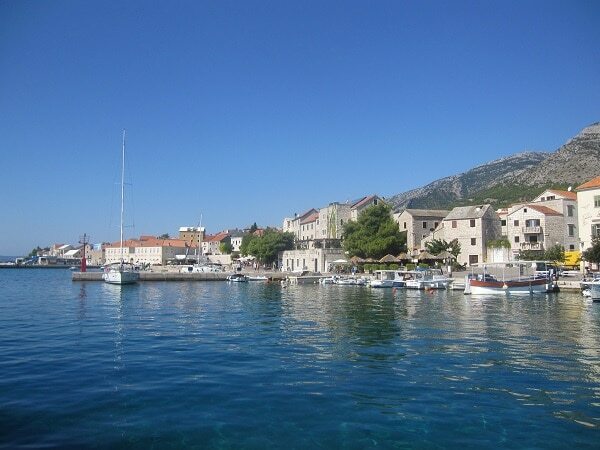 The island of Brač is not only the perfect place to practice water sports, but you can as well explore the island by foot or bicycle. 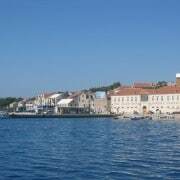 Its luxuriant nature and its many small roads and paths make the island of Brač the ideal place in Croatia for sports vacations. 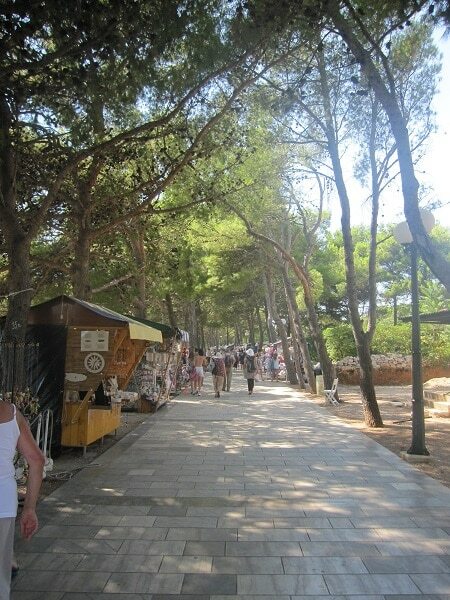 You can create your own hiking itinerary with a map of the island, or contact one of the many tourist agencies on the island that will organize it for you. 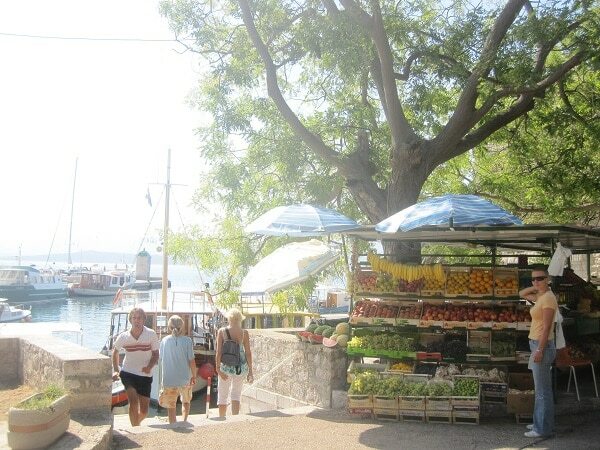 Whatever transportation you use (bicycle, scooter, car, by foot …) be sure to get to the highest point of the island called Vidova Gora. 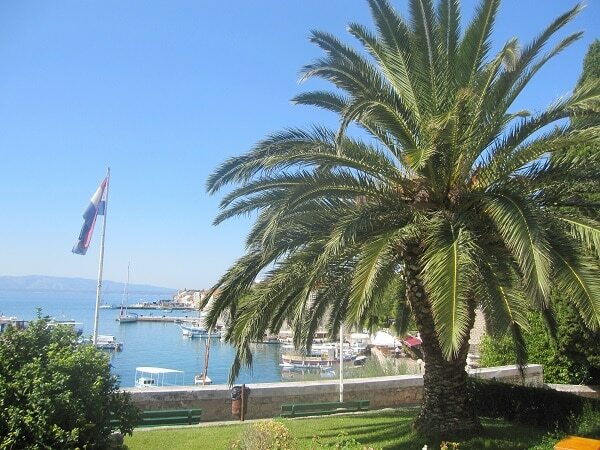 The view on the islands is fantastic. 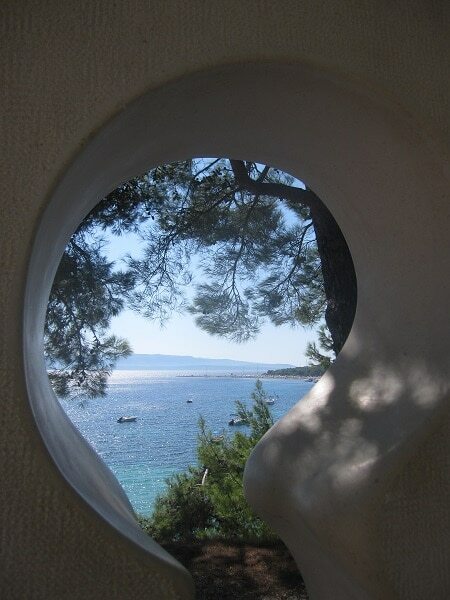 You will have a great view on the beach of Zlatni Rat and as well on the island of Hvar, and as Croatian say ‘on a clear day you can even see Italy!’. 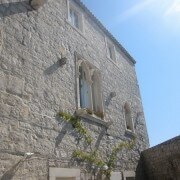 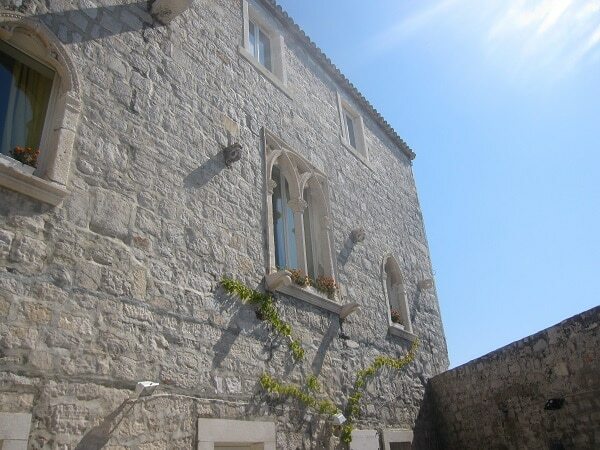 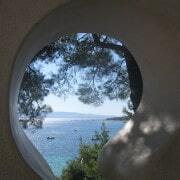 Private accommodation on BračBook an apartment, a stone house or just a room on Brač island. 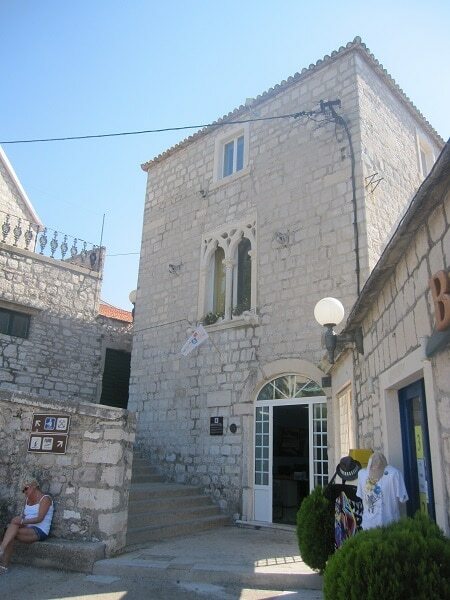 Hôtel on Brač islandBook a hotel in front of Zlatni Rat beach or in its vicinity. 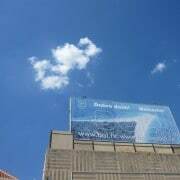 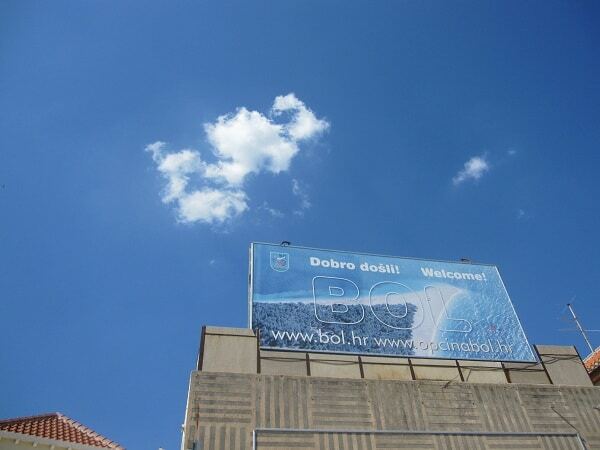 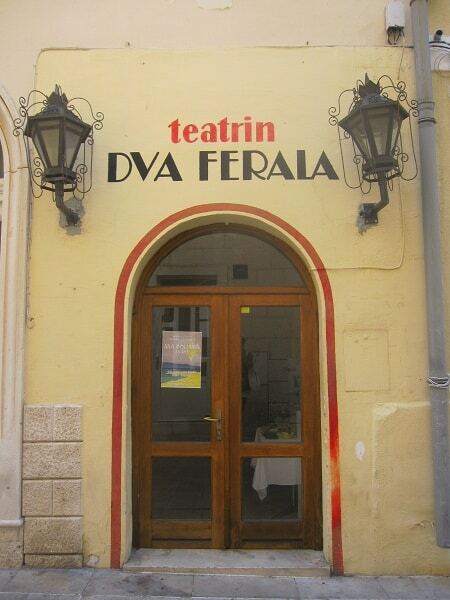 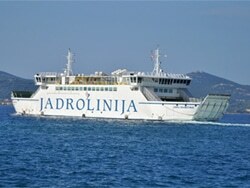 More information about schedules and prices of the ferry on the web site of the Croatian Ferry company Jadrolinija. 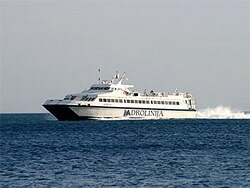 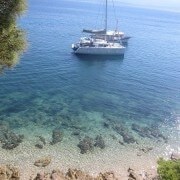 More information about schedules and prices of the catamaran on the web site of the Croatian Ferry company Jadrolinija.